Scrub potatoes and trim bruises and other imperfections. Put into a sauce pan, cover with water, and bring to a boil. Reduce heat to medium low, cover and cook for 20 minutes or until fork tender. Drain potatoes and chop into cubes. Place in a large bowl with other ingredients. Toss until well combined. 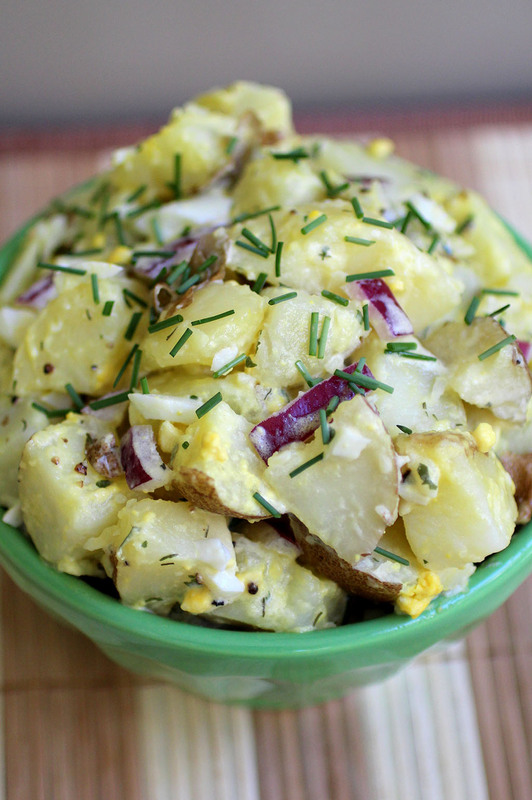 One Response to "Probiotic Potato Salad"
This sounds terrific! I wonder if subbing a little kefir or kefir cheese for some of the mayo would be good? I don’t brew kombucha, but I’m always looking for new ways to use my kefir!